In his budget speech, UK Chancellor of the Exchequer Philip Hammond announced a new measure to push large tech corporations towards paying taxes, introducing what the media labeled as the "Google tax." 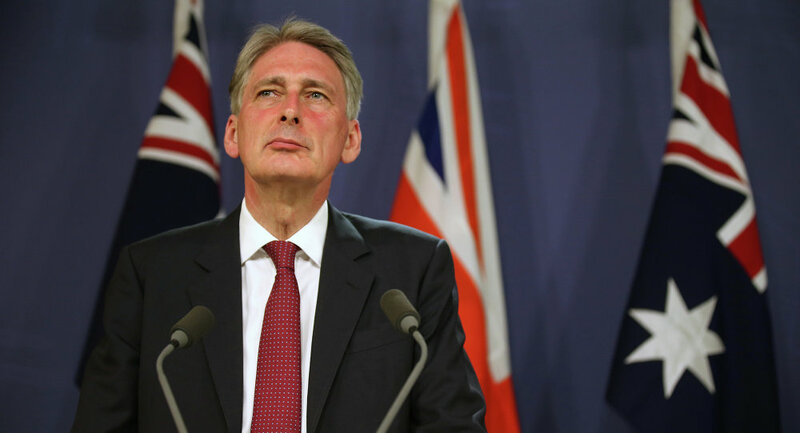 "Multinational digital businesses pay billions of pounds in royalties to jurisdictions where they are not taxed — and some of these royalties relate to UK sales," Hammond said in his address. "So, from April 2019, and in accordance with our international obligations, we will apply income tax to royalties relating to UK sales, when those royalties are paid to a low-tax jurisdiction." It is currently legal for the tech giants to legally avoid paying taxes in the UK simply by shifting their profits abroad to the countries with relax taxation schemes. For instance, a recent study by the Center for Economics and Business Research found that UK-based booksellers are paying 11 times more corporate taxes than the tech giant Amazon. Similarly, last year Google finally agreed to pay £130 million to the British authorities after years of legally dodging taxes. The new measure, announced by Hammond, will tax large digital companies on the royalties that they receive from their sales in Britain. The so-called "Google tax" seeks to raise over £200 million each year and is the central piece of the UK government's efforts to combat tax avoidance that should yield about £4.8 billion by 2022-23. — IT Security News (@IT_securitynews) 11 февраля 2016 г. The Chancellor also said that since 2010 the Treasury has received additional tax revenues worth £160 billion by enforcing stricter penalties for tax fraud. The introduction of the Google tax was praised by Frank Field, the Labour MP and the Chairman of the Work and Pensions Select Committee at House of Commons, who is a staunch campaigner against tax avoidance by large multinational corporations. "The budget offers the beginnings of a fightback against some of the most egregious and morally bankrupt methods of tax avoidance exposed by our campaign," Field told the Guardian. "But taxpayers will expect a whole series of additional steps to follow, if this mega injustice is to be countered for good."